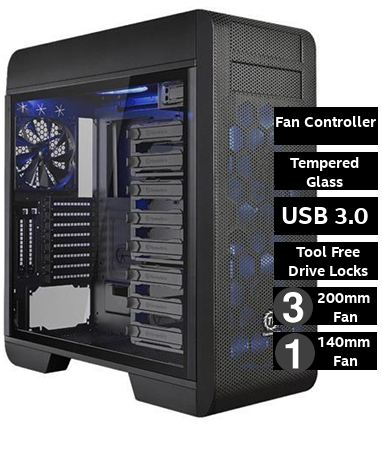 The Core V71 Tempered Glass Edition full tower chassis features a durable 4mm thick tempered glass window, riser GPU support bracket with optional PCI-e riser cable, three preinstalled 200mm LED fans, and the outstanding cooling performance. 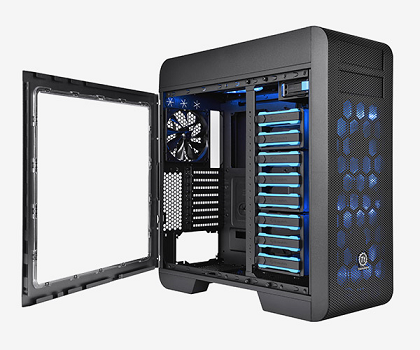 With its unprecedented space for high-end configurations and liquid cooling expansion, the Core V71 TG supports the latest PC hardware, and all high-end GPU cards. 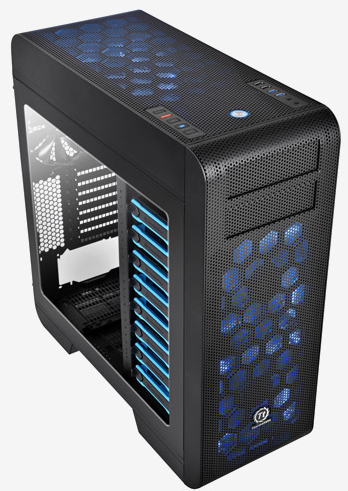 The Core V71 TG is an ideal choice for those who are looking for a space-saving chassis with excellent expandability and superior ventilation!